The man behind the potion’s teacher, a Wonderland caterpillar, a singing judge, a paranoid android, and so much more. We all know Alan Rickman as the scary, mysterious Professor Snape, a role he brought to life and made remarkably his own. As a Harry Potter lover, Rickman became Snape wholeheartedly. We feared him, dreaded him, and cried with him. Death never comes easily, even in the wizarding world. Magic cannot save us, but when we do incredible things, we will always be remembered. 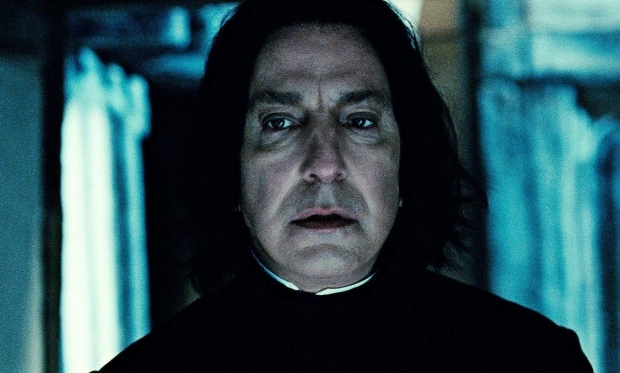 Alan Rickman was more than an actor, more than our favorite anti-hero. He graced the stage and screen for years, and we must remember him for more than just being Snape, even if that is all you know him by. Let’s remember him for being a friend and an incredible man. Our wands are up for you, Alan Rickman.